BRITAIN'S Duchess of Cambridge has long been lauded for her "thrifty" approach to style, often re-wearing outfits she has worn before. Now it seems she is applying that same sensible - if utterly normal to most of us - sartorial logic to dressing her three children. 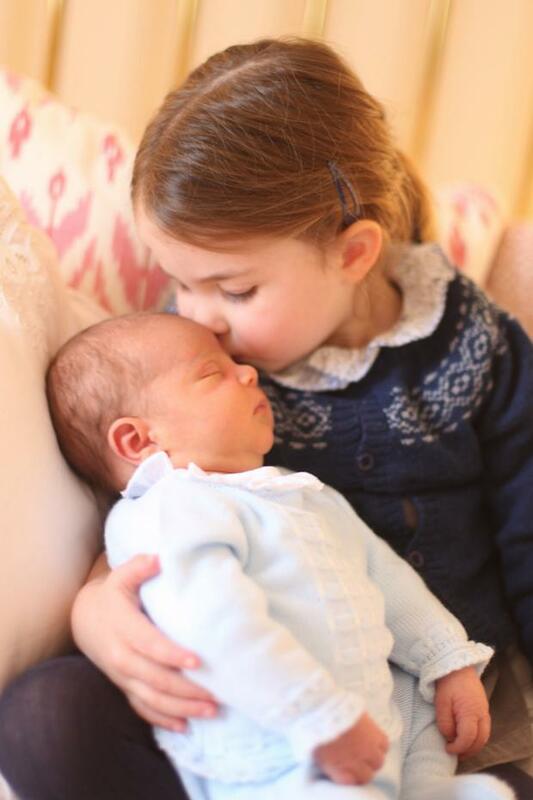 Of course, there's none of the wear-and-tear which younger children often complain they must endure when wearing their older siblings' cast-offs; Charlotte and Louis's outfits are as immaculate as you would expect from the perfectly-presented young royals. 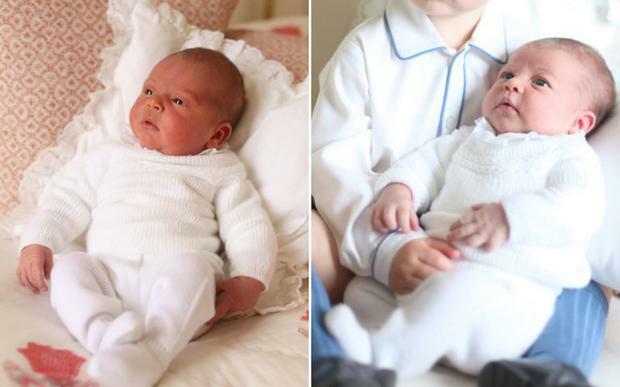 The first image shows Prince Louis at just three days old, lying cosily on a white pillow with his eyes open and wearing a pristine cream ribbed knit with matching socks. 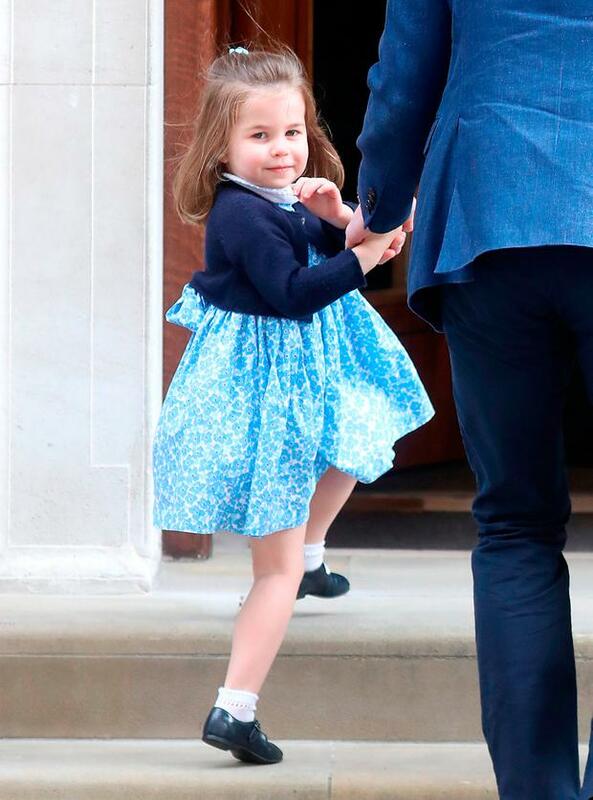 It is the same outfit which Princess Charlotte was dressed in when the first photos of her were released when she was just a few weeks old, in May 2015. The jumper is by Spanish label Irulea, a family-run business based in San Sebastián, Northern Spain. Shortly after Princess Charlotte was photographed wearing the jumper - and a matching hat which was used to keep her head toasty as she was brought home from hospital - it emerged that the set had been a gift to the young Princess from the mother of Maria Teresa Turrion Burrallo, the Cambridges' nanny. The traditional, hand-knitted set is still available to buy for 233 euros. The second picture (top) shows Princess Charlotte as a doting older sister planting a kiss on her new brother's forehead while he sleeps and was taken on her third birthday on Wednesday. The young Princess wears the same navy Fair Isle cardigan in which Prince George was photographed for the Queen's 90th birthday portrait by Annie Leibovitz in April 2016. The cardigan hails from another Spanish label, Fina Ejerique and sold out within hours of the photo's release. Spain's classic approach to childrenswear chimes with the young royals' timeless look, with the toddlers of the 2010s wearing identical outfits to those seen on their parents, grandparents and even great-grandparents before them; nothing semaphores stoic continuity quite so sweetly as Princess Charlotte wearing a frilled dress which is near identical to those worn by the Queen as a child. 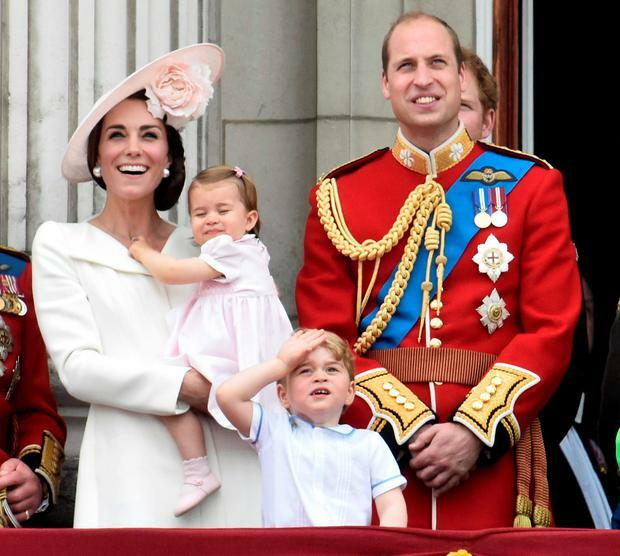 Hand-me-down dressing is not a new strategy from Kate and William. Prince George has already worn a selection of his father's old outfits for public appearances. At Trooping the Colour in 2016, he was dressed in the white shirt and blue shorts which William wore for Harry's christening in 1984 while at the previous year's ceremony, he wore the same pale blue frilled shirt and matching shorts in which William was dressed at the same event in 1984. Princess Charlotte even wore her Uncle Harry's red bar-strapped shoes during the royal tour to Poland last summer. Even though he's less than two weeks old, Prince Louis is already estimated to be worth £50 million to the fashion industry, with many of the brands in which his parents have chosen to dress his two older siblings seeing an unprecedented increase of sales and publicity. 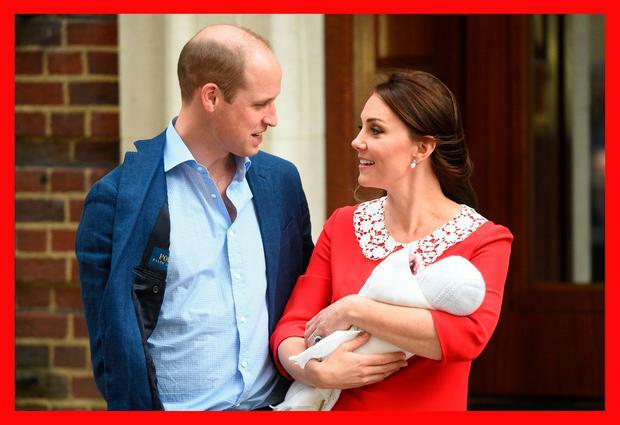 The Nottingham-based lace manufacturers G.H.Hurt & Sons, who made the blankets in which all three baby Cambridges were wrapped for their public debut on the steps of the Lindo Wing, experienced a rise of 100,000 online hits in the hours following Princess Charlotte's first appearance. When she went to visit her little brother just hours after his birth on April 23, Charlotte skipped along the pavement wearing a £45 traditional hand-smocked dress by Little Alice London, a childrenswear label founded by the Duchess of Cambridge's old friend from Marlborough, Alice Avenel. Formerly Alice St John Webster, she married Gerald Avenel, a French banker, in 2012. 30. Until he facepalmed when Prince William was scolded by the Queen during the Trooping the Colour this year. While dressing their children in clothes which could be from a bygone era feels appropriate for William and Kate in their capacity as royals, it also taps into a very modern trend for retro childrenswear. The thriftiness of hand-me-downs? An extra relatability box ticked. It's never just a cardigan.